We offer Heat Detectors Set to alarm when ambient temperatures reach a fixed point, typically indicating a fire,fixed-temperatureheat detectors are a highly cost-effective solution for many property protection applications. If rapid response to fire is vital,rate-of-riseheat detectors are an ideal solution where rapid temperature increases would only be caused by a fire emergency.Combinationheat detectors provide both fixed and rate-of-rise detection. 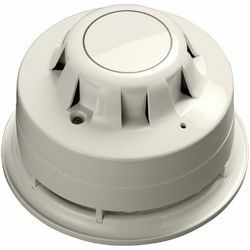 This enables the heat detector to communicate an alarm to the central control panel prior to reaching its fixed set point for high rates of rise, providing a timely response to both rapid and slow temperature increases. 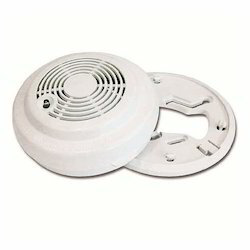 We have scalable solution for fire detection. 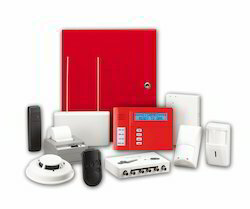 Protect your building with a single system or connect multiple panels together as your needs grow. Networking capabilities support the monitoring of up to 2,000 addressable points in one system. Networking module mounts to the new FPA-1000 panel slot, requiring less wiring and no need for separate power and supervision. Mixed wiring support on one network module includes Ethernet, fiber optic or two-conductor wire for more flexibility in system design. A set of interactive Web pages provide an instant means to access important system functions, including programming, status, diagnostic tools and test data. Built-in Bosch Conettix IP technology communicates over local or wide area networks for faster alarm reporting and reduced costs. 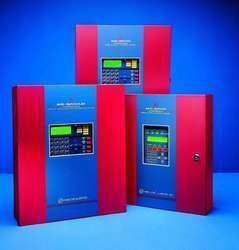 The first combination panel listed for both fire and carbon monoxide (CO) alarm, it complies with new CO regulation requirements for monitoring and reporting this hazardous gas. Extra-large buttons allow first responders to operate the keypad control while wearing protective gloves. 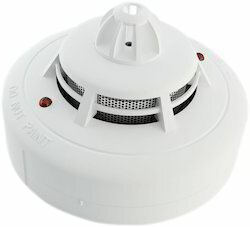 We are among the reputed firms, engaged in trading and supplying Addressable Smoke Detector. Procured from the reliable vendors of the market, these are manufactured using high-grade raw material and modern technology. Conform to international quality standards and norms, our products are available in various models and sizes along with different specifications at market leading prices. Indicator: Red flashes in every 50 seconds in normal condition. Network Output: Maximum 30 alarm in one system, available for optional use.